Ever thought that you’d like to update your old workhorse for something new, handy and efficient? Citroen might have the answer you’re searching for in their latest Berlingo – which comes in a Citroen Berlingo Short Body and Citroen Berlingo Long Body. Styling for 2014 has the new Berlingo trimmer and sharper in appearance, while all the excellent cargo space and driver comfort is retained from the older, outgoing model. 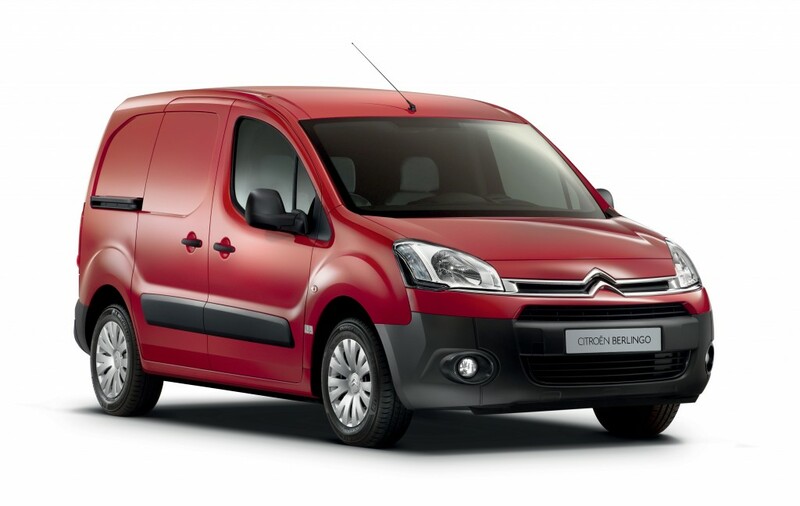 Citroen’s commercial van isn’t gregariously large, but it seems just the perfect vehicle for slipping in and out of congested city streets to ensure that cargo is picked up and dropped off like clockwork. 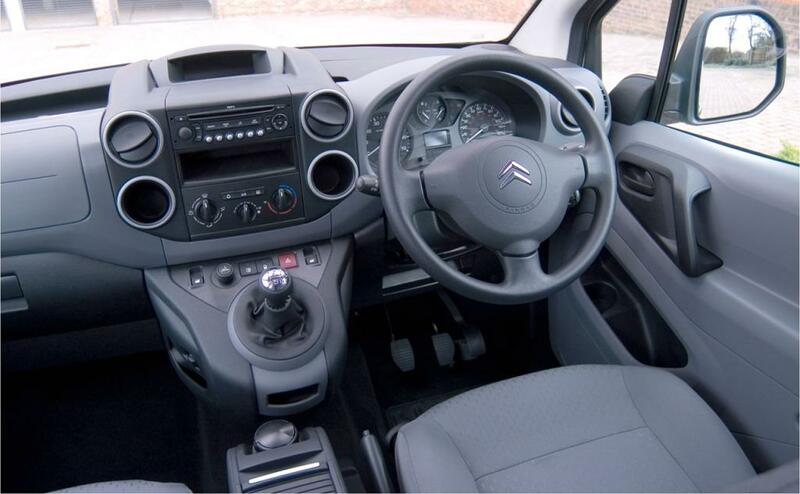 One thing I noticed about the Citroen Berlingo van is that it is a well kitted out van with great cabin storage and excellent seats that are comfortable for the long haul. You could even think that you’re driving a van that feels more like a car. And if that’s what you think, then Citroen will be happy because that was always their intention. It’s impressive the way the switchgear, steering wheel and gear lever are arranged in such a way that everything is at hand for ease-of-use. I guess in older terms, you’d say that the Berlingo van is ergonomically well thought out. Location of the gear lever is on the dashboard, and I guess this is for space saving reasons, as it is possible to opt for three seats in the front. Numerous storage compartments make it very easy to put folders, invoice books, pens, smartphones, iPads and the like in an orderly fashion inside the Citroen Berlingo cabin space. Let’s face it, this is most likely to be your mobile office, so all these handy spaces are excellent. All Berlingo models come with a trip computer providing average fuel consumption and distance travelled. You can also choose to equip your van with Bluetooth. Bluetooth technology allows the driver to make and receive calls without losing their concentration or taking their eyes off the road. Similarly, the CD Radio system is equipped with remote audio controls mounted on the steering wheel. On the road, both the short and long wheelbase versions cope superbly with rough roads, and with a nice wide wheel track, the Citroen Berlingo handles very well for such a useful workhorse. You can easily get used to the steady handling, ample grip, and strong performance from either the small petrol or small diesel engine – it all depends on your preference, of course. Six gears access engine power and torque, and with Citroen’s clever engine design the fuel efficiency of both engines is best in class. Here you have a versatile small van just right for myriads of different business tasks, and with a load capacity of up to 1050 kg or 3.7 m³ on standard models (4.1 m3 on L2 models), what an awesome little work van that will quickly feel like your dependably work mate. Amazingly, Citroen have managed to make the new Berlingo a very attractive design while ensuring that the small van is remarkably versatile. Loading and unloading cargo is quick and easy, and this procedure is done via 60/40 rear barn doors which swing open 180° to allow the driver to back up almost flush with any loading bay. In the standard two seat configuration the second seat folds down to create a flat work surface, and a removable storage bin is located between the seats. Citroen have realised that the more comfortable the driver is, the longer they can productively remain in action behind the wheel. That’s why air conditioning, cruise control, a digital ‘head-up’ display (like in a BMW), electric windows, height adjustable driver’s seat and height adjustable headrests and a driver’s arm-rest – to name a few items – are provided on all Berlingo models. Active safety features such as ABS, ESP and rear park assist sensors help to avoid accidents, while the passive safety features all work in unison to protect the occupants in the event of an accident. Why buy any other small van, when you could have the best, Sure, the likes of Suzuki’s small APV van is an accomplished performer, however the new Citroen Berlingo looks smarter, offers loads more features and is nicer and safer to drive. For any more information on the new Citroen Berlingo for 2014 or, for that matter, any other new car, contact one of our friendly consultants on 1300 303 181. If you’d like some fleet discount pricing (yes even for private buyers! ), we can submit vehicle quote requests out to our national network of Citroen dealers and come back with pricing within 24 hours. Private Fleet – car buying made easy!